The Chicago Bears Super Bowl odds were something that fans didn’t even waste too much time thinking about. Why should they? This team hadn’t made the playoffs since 2010 or had a winning record since 2012. They haven’t even reached .500 in five years. It was ludicrous to put them into the conversation of a possible championship team. Never mind the fact the Bears haven’t won it in 33 years. Times change fast though. 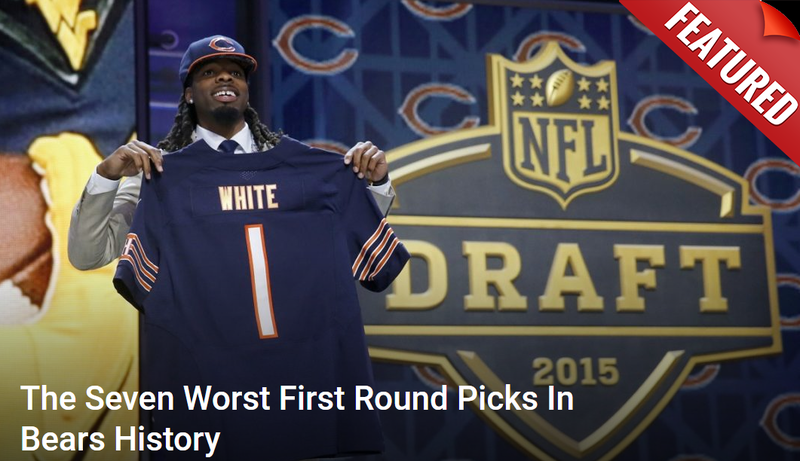 In a blur of just three and a half months, the Bears aren’t staying in the cellar anymore. They’ve migrated to the penthouse, sitting at 9-4 and one win away from clinching the NFC North division title. Not only that, they just got done pasting the Los Angeles Rams on Sunday night. A team that had lost just one game and scored no fewer than 23 points in any of their prior matchups this year. The Bears held them to six and showed the NFL they have no reason to fear the supposed elite teams. This is a roster that is capable of hanging with the best. Knowing that now, it brings up the million-dollar question. Is this team good enough to make a Super Bowl run? Based on the latest odds from the Westgate Las Vegas SuperBook? It’s okay to start thinking big. When was the last time people genuinely felt this team was capable of making a Super Bowl run? Realistically, it was back in 2011 during that five-game win streak. Everything was clicking then. Jay Cutler was hot. The defense was rounding into form. They were beating up on opponents left and right. Then Cutler broke his thumb and thing were never really the same. This time around it feels similar. It’s not quite at that level yet. The defense is absolutely on par with what the Bears had back then. However, the offense is an unknown quantity. They have talent, there’s no question of that with Jordan Howard, Tarik Cohen, Allen Robinson, and others. It’s a matter of Mitch Trubisky. Can he get himself to play under control and not have these erratic performances like last Sunday? When he can, this team has bludgeoned opponents into submission. They’re like a betting bonus for all the gamblers out there when it comes to Super Bowl betting. The fact of the matter is there’s no reason to think the Bears can’t make a run. They merely have to look at recent history for validation. Two of the previous three Super Bowl champions got it done with great defense, solid running and enough big plays from the quarterback to be effective. The defending champion Philadelphia Eagles had the #4 defense in the league coupled with an offense that had lost their starting quarterback late in the year. Nick Foles managed 19, 0, and 15 points in three of his first four starts in place for the injured Carson Wentz. Then he exploded in the NFC championship and the Super Bowl to close the deal. Or what about the 2015 Denver Broncos? They had the #1 defense in the league but the #16 offense with a decrepit Peyton Manning under center. They committed 10 turnovers in their final four games of the regular season alone. That didn’t stop the defense from dominating in the playoffs allowing 44 points total in three games and smothering Carolina in the Super Bowl. This Bears defense is on that level. They’re second in the NFL against the run. They’ve forced 34 turnovers with three games still to play with a pass rush that has 40 sacks. The offense isn’t always pretty, but it’s 7th in the league in scoring with a running game that is averaging 121.46 yards per game. If they can stick to that and limit the giveaways, why can’t this team have a shot?